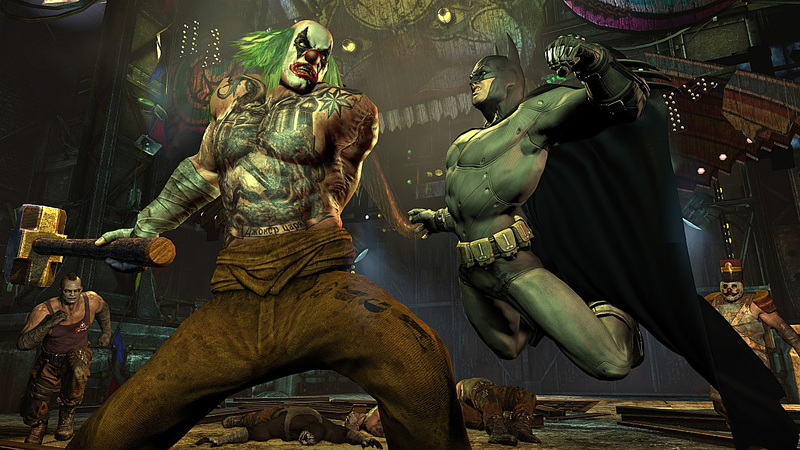 ‍Until the release of Batman: Arkham Asylum, superhero games were in the doldrums. Cynical, poorly developed tie-ins made gamers wary of anything with a comic book character involved, and outside of fighting games there was very little to recommend. 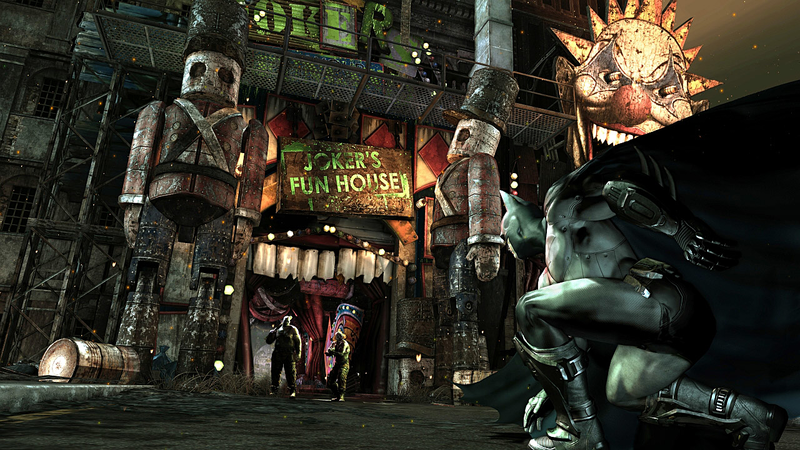 Rocksteady’s first title in the DC universe changed that. Drawing on the extended lore of Batman’s world, Asylum was a love letter to fans and gamers alike, offering a rich and atmospheric delve into the Dark Knight’s world and complemented by game-changing melee combat, interesting missions and a masterful Joker voiceover from Mark Hamill. 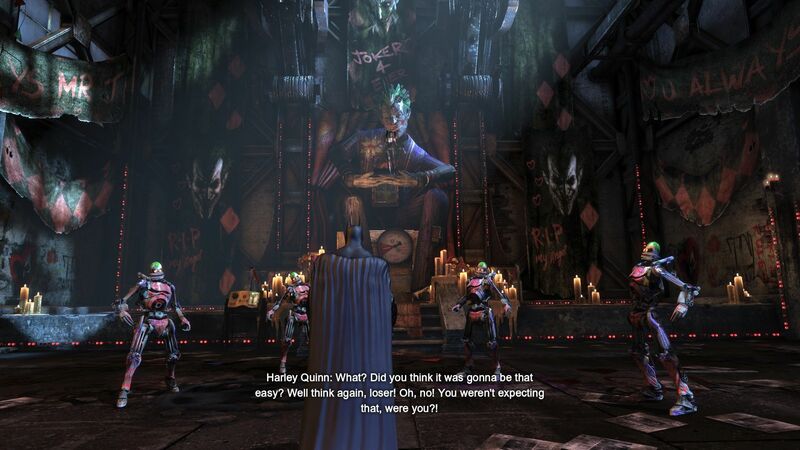 I adored it, warts and all — and the boss fights certainly fell into that category — but while I trudged through the disappointing non-Rocksteady prequel Batman: Arkham Origins, I never got around to playing the 2011 sequel. 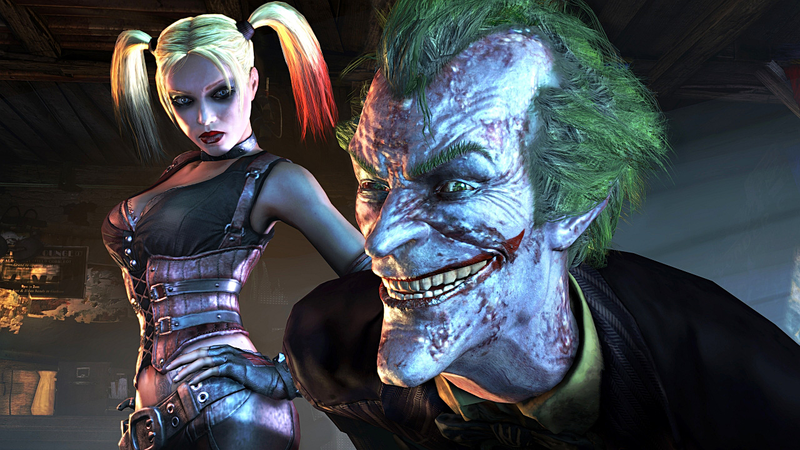 Batman: Arkham City was critically acclaimed, so I had high hopes that the Game of the Year edition (including both Catwoman and Harley Quinn DLC) would restore my faith in the series. Well, this is all very familiar. 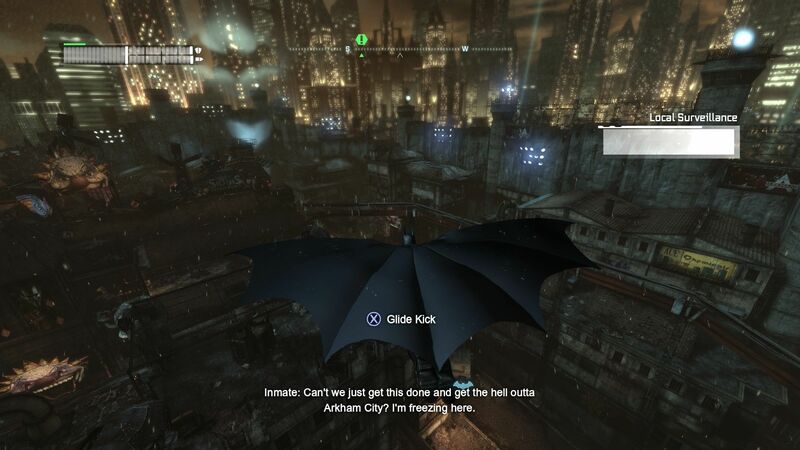 Picking up Batman’s controls again is like putting on a warm, comfortable coat. Even though I’ve started the game with the majority of the equipment from Asylum — and Rocksteady should be applauded for not finding a ludicrous way to strip Batman of his gadgets in order to recover them again — the minute-to-minute gameplay hasn’t changed a bit. The Joker is once again at the heart of the story, alongside Hugo Strange who has released the populace of Arkham Asylum into the streets. Meanwhile, a three-way battle for control of the city is taking place between Two-Face, Joker and Penguin. I’m intrigued to see how this will play out. You'll spend a lot of time going back and forth to here. It also looks very similar. There were two years between this game and its predecessor, and it seems as though the new coat of paint given to City is offset by the rather dull and samey environments that come with the open world territory. 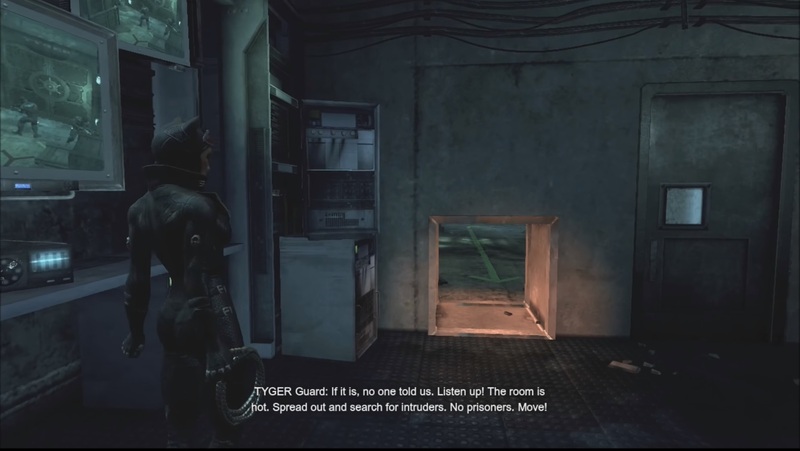 Because the game is set almost entirely at night, it makes it tough to distinguish key areas within the sandbox, while the smaller, far more detailed areas that were part and parcel of Asylum are few and far between. It’s not an ugly game, but it just doesn’t have the character of its older stablemate. That said, the music is as superb as you might expect, and I think Danny Elfman would approve. The open world feels far more substantial than Asylum but also a little empty. Gangs of villain-affiliated goons stand around and reel off similar expository dialogue which begins to repeat after a while, and the less said about Harley Quinn’s voice the better. I get that she’s supposed to be annoying, but my goodness her voice grates to the point that I’m dreading any moment she appears. Still, there is a huge amount to discover outside of the main mission — which is essentially finding a cure for Batman, who has been poisoned by the Joker. Radio intercepts have lead me to Riddler and Bane side missions, and I’ve stumbled upon a swathe of Riddler trophies which I’m unable to access, presumably until my skills and gadgets are upgraded to a sufficient level. The progression system is similar to the first game, offering incremental improvements to your gear and combat while slowly ramping up the challenge and opening up new areas of the city. Harley is as annoying as ever. Even so, I’m finding the storyline unsatisfactory. There are allegedly three big Batman villains vying for control, but they’re barely utilised. Compared to the laser focus of Joker’s takeover within Asylum and Batman’s mission to reclaim the building, the main narrative of City is content to sit back and let you explore, to the detriment of the plot. The main meat of the combat has barely been altered from the original. Batman leaps, pivots, jumps and rolls between bad guys, landing satisfyingly solid punches and kicks as he does so. A combo meter tallies up your successful chaining and unlocks special finishing moves as it increases. Combined with the huge array of gadgets at Batman’s disposal which are now usable in combat, there are plenty of ways to take out foes. Explosive gel, Batarangs, electrical blasts, the Batclaw and even your cape can be utilised, which would make things more interesting if the array of button and trigger combos to use them wasn’t so convoluted. At times I found myself electrocuting someone when I simply meant to spray some gel, or dropping a smoke pellet instead of knocking a guy out. Multiple thugs can be countered at once, and some of them will now throw objects at you that they’ve picked up from the environment. Yet, even this short a space of time in, combat is starting to become a little repetitive, a succession of similar anonymous goons lining up for you to dance between and knock out. You can probably get cream for that. The catalogue of weapons at your disposal do little to mask the fact that combat is actually quite shallow, and mashing buttons got me as far in fights as painstakingly trying for combos. Even when newer bad guys with armour, knives, or Riddler clothing are introduced, they serve as little more than annoyances rather than being particularly challenging. It also highlights the same issue I had with the first game’s combat: an overreliance on Detective Mode. The dismal environments make it very difficult to discern bad guys through the gloom, let alone the ones who are armed or armoured, so I spent at least half of the game viewing things in X-ray to ensure I didn’t get shot. Catwoman was a great addition in this area, however. The DLC included in the Game of the Year pack incorporates her storyline neatly into the main campaign and her combat moves feel as lithe and slick as her suit. I actually had more fun fighting with her than Batman. It’s a shame that her traversal of the city is the exact opposite: a complete chore. Whereas Batman is a joy to manoeuvre, gliding, dive-bombing, swooping and using the Batclaw to seamlessly cross buildings, bridges and waterways, Selina has to make do with swinging to and then climbing them using a series of prompts. It’s clunky, slow, and completely at odds with the established mechanics. Thankfully, there haven’t been many Catwoman interludes in the main mission as yet, and those that I’ve experienced mostly revolve around combat and sneaking. Cat burglary, if you will. Catwoman's stealth sections are more fun than being outdoors. The main campaign is done and I honestly feel underwhelmed. It feels like Asylum had a longer, yet tighter narrative, the confines of its environment forcing it to be far more innovative in its approach to Metroid-style gameplay. Conversely, City felt freer, larger and yet with a shorter and more throwaway plot. I didn’t care that the city’s inhabitants were being cleansed, because those inhabitants were exclusively criminal and all of them wanted to kill me. I had no investment in the main storyline other than to stop myself dying from the poison, which didn’t impact me in any meaningful way for the entirety of the game. At the same time, throwaway side quests and a ridiculous number of Riddler trophies (over four hundred) might have been a fun addition for people who love collectibles, but there was far too much repetition of puzzles which relied solely on your cryptographic sequencer to access them. The riddles themselves were also a disappointing rehash of the far superior perspective and treasure hunt teasers from the first game. When you add in the balloons, Joker teeth, cameras and so on, the result was a deluge of busywork, not tied to the plot in any meaningful fashion other than “go here, get this”. After a while, the constant whining of the populace will start to grate. Also, if, like me, you haven’t had your head in the sand for the last six years, the “shock” ending is likely to be anything but. It’s hard not to have had it spoiled, but even so I was expecting there to be a little more to the finale. It just felt flat. If the campaign seemed hollow, it’s nothing compared to the Harley Quinn’s Revenge DLC. Set some undisclosed time after the events of the main game, it offers two hours of…well, pretty much the same stuff. The big “draw” is the ability to play as Robin (complete with Bullet Shield) but far fewer and infinitely inferior gadgets. The story switches between him and Batman, but offers almost nothing new in terms of the plot. The showdown with Harley mimics the Catwoman vs Two-Face predator boss fight but made even easier, while the titular character is as grating as ever. Robin is slow and clunky as a protagonist, which is a shame given how well Rocksteady implemented Catwoman’s moveset. All told, if I’d purchased this as standalone DLC rather than getting it in the GOTY edition, I’d have been hugely disgruntled. Doesn't really look like a fair fight. I came away from Batman: Arkham City disappointed. I was expecting far more, given how enjoyable the first game was, so was a little bemused to find a shallow story, incremental combat improvements and a whole heap of busywork substituted in for decent story missions. It’s not a bad game by any stretch, and if this is the first game in the series you’ve played then it’s likely you’ll enjoy it. However, the reliance on Detective Mode feels intrusive and the sandbox just doesn’t compare favourably with Asylum’s tighter focus on environments and narrative.